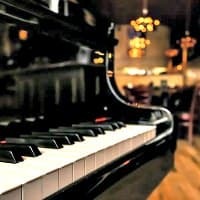 Hi, and welcome to The Piano Player, the E-zine of OnlinePianoCoach.com In each issue you will get updates and news with tips and tools about playing and learning the piano. Part of every piano playing goal is some form of performance. When the piece you've been practicing feels ready enough, it's great to perform it. It may be in a recital, for family, a close friend- or even for oneself by video recording, for example. Here are 3 great strategies to use in preparation for a performance to weave into your piano practice; memorization, metronome practice and how to combat stage fright. I hope you'll find some useful tips here getting your pieces performance ready! Learning how to memorize a few piano pieces to keep "in your pocket"; even as a beginner, always ready to perform, takes a bit of planning and preparation. Here are 5 steps on how you can prepare, and a very simple formula for how to memorize, a repertoire of easy piano pieces, ready for performing! Learn how to use a metronome to practice piano with great results! 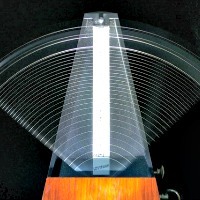 The metronome is a very useful tool, basically necessary, for all musicians. Here you'll learn how to practice more effectively using a metronome. How do you survive the ordeal of a performance? 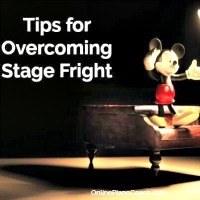 Overcoming stage fright, is that even possible? To manage rather than overcoming the fear of performing is a skill that can be learned. But, as any skill it needs to be practiced! Here are practical tips on how to manage stage fright for musicians. Why after practicing a piece and thinking I have it mastered do I still make mistakes when I am performing it? I would like to know why after carefully practicing a piece of music and feeling that I have mastered it, I then find myself making mistakes in performance. I am an advanced pianist, but must admit that this problem has plagued my playing for a long time. I would really like some help with this and would like to solve this very frustrating problem. I'd greatly appreciate any suggestions you have to offer. Find loads and loads of sheet music for your performance repertoire! To make it easier for you, here I have selected the top 3 resources available online. I'd love to hear from you. Just reply to this E-zine and tell me what you think, or what you'd like to read more about.